Lately, Little M and I have changed things up a bit when it comes to bathtime. He loves splashing around in the tub and our small bath mats didn’t work as well for an energetic and active toddler. 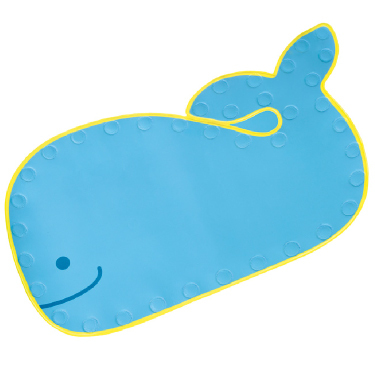 So we made the switch to this Skip Hop Moby Bath Mat. How cute is that smiling whale? Little M loves it. Whenever he is hesitant about getting into the tub, I just have to remind him about the whale and he is ready to hop in! Well, the Honest Company bubble bath we have started using recently probably helps with the bathtime excitement. Who doesn’t love bubbles? 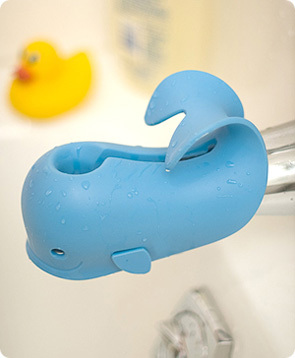 If any of your little ones are into whales, check out Skip Hop’s entire bath line – the whale spout cover is especially adorable. 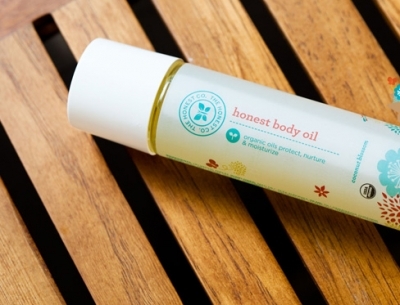 Photos by Skip Hop and The Honest Company.